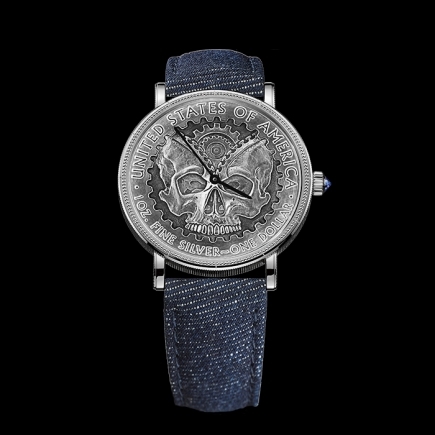 Corum | 21'400 € Tax inc.
Corum is unveiling a new limited edition of its Coin collection: the Hobo Coins. 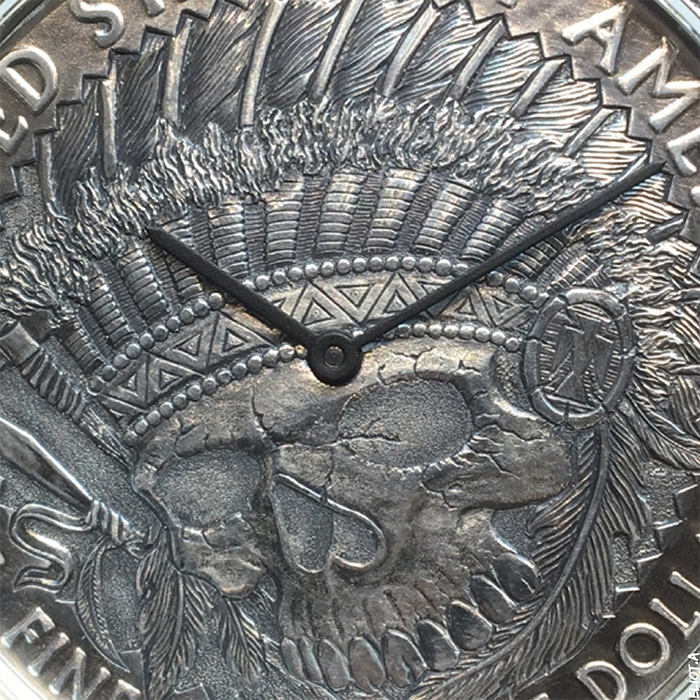 Originally a popular art form developed by vagrants, now the hobo coin is being revived by the exceptional and talented artist Aleksey Saburov. 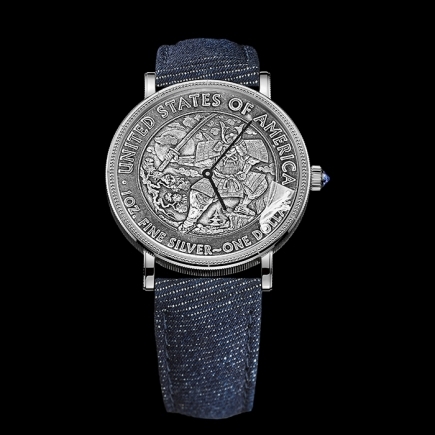 Although normally based in New York, he will be in attendance at Baselworld, where he will be producing one of these unique pieces live for all to see. It once was the poor man's coin. Five cents, made from nickel, issued shortly before the Great Depression. They were worth so little that even vagrants would rework them to earn a miserly profit. This earned them the name “hobo coins”, created from small change minted by the United States from 1913 onwards, serving as witness to a past of hope and roaming, creativity and popular crafts. They were the creation of travelling workers who crossed the continent in freight trains, soldiers bound for the front during the First World War, or penniless artists seeking a fleeting American dream. 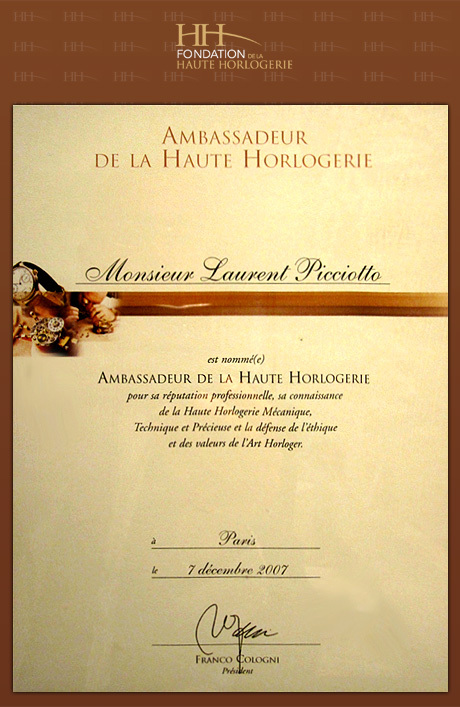 Today, genuine hobo coins have become extremely scarce. 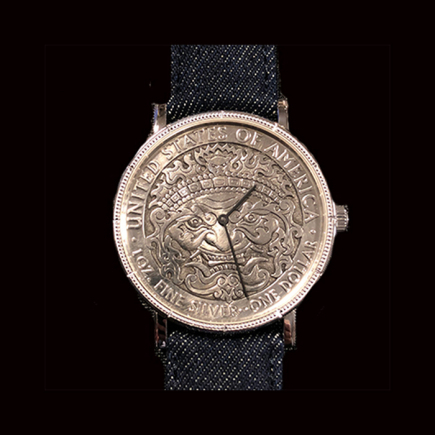 Since 1992, an independent organisation, the Original Hobo Nickel Society has steadfastly preserved this heritage, determined to prevent this popular art form from falling into obscurity, given its involvement in a critical period of US and world history on the eve of the great crash of 1929. Freelance artist Aleksey Saburov is helping to promote its historic revival. 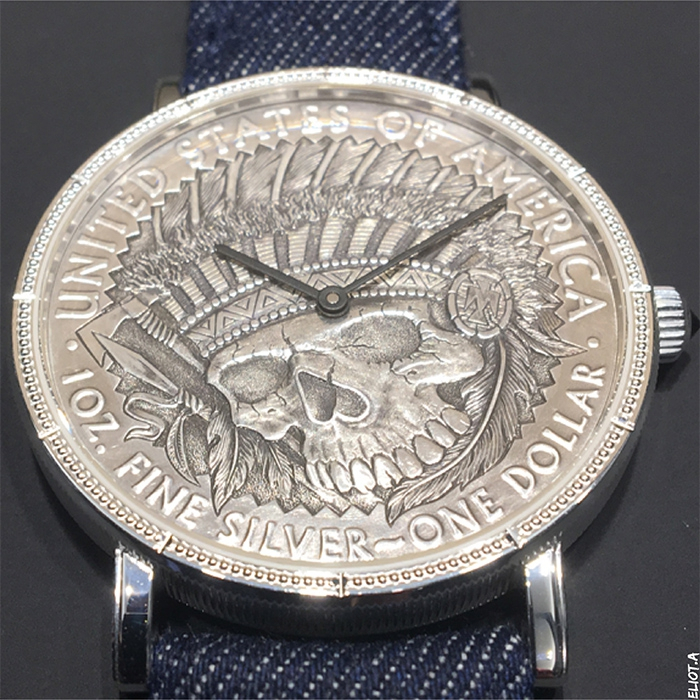 A Russian engraver living in New York, he produces 21st-century hobo coins, subverting popular imagery and its legends, demons and beliefs to create genuine unique works of art, micro-engraved on authentic early 20th-century five-cent pieces. 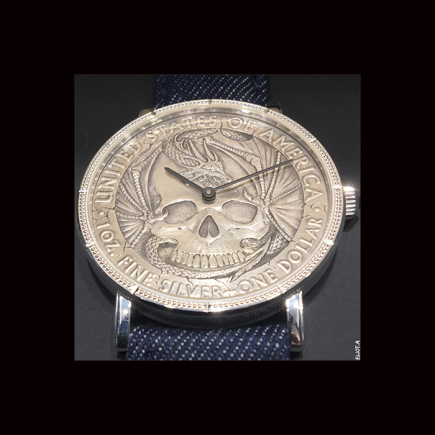 Each entirely hand-engraved Hobo Coin will be a unique piece by definition. 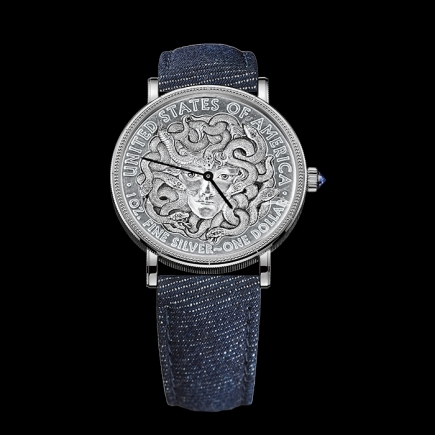 Aleksey Saburov has produced a number of original motifs for Corum, each of which will become the dial of a 43 mm timepiece powered by an in-house automatic mechanical movement. 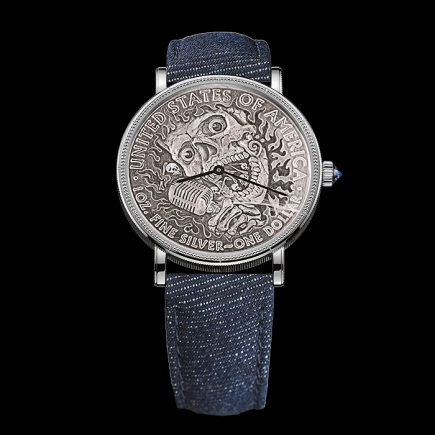 For the first time, this new “Coin” collection of unique pieces will be available on a denim strap. 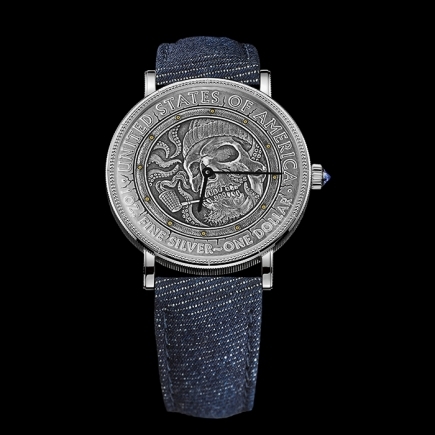 Its blue-grey tones are judiciously paired with the piece's silver case and its blue sapphire crown. 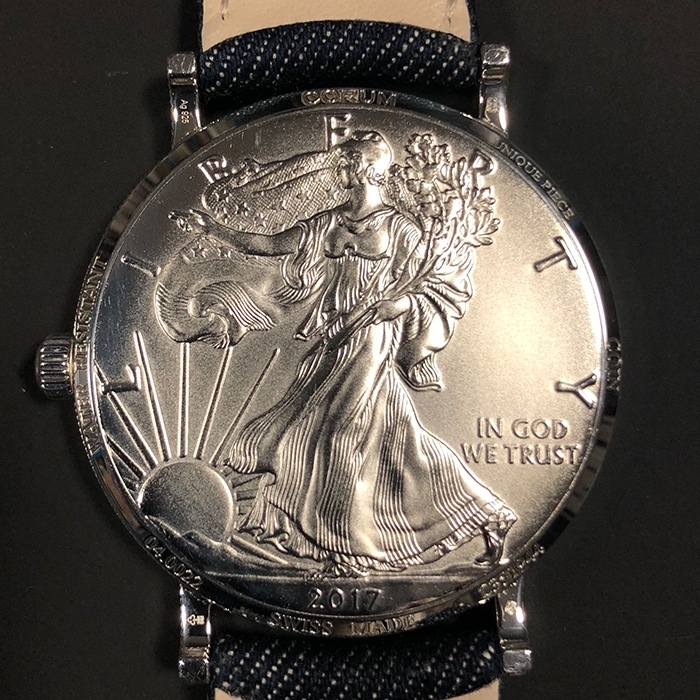 Almost 50 years after being the first brand in the world to turn the famous $20 US double eagle into a cult timepiece, Corum is boldly and unabashedly reviving the art of monetary watchmaking – impertinent, creative and unique.